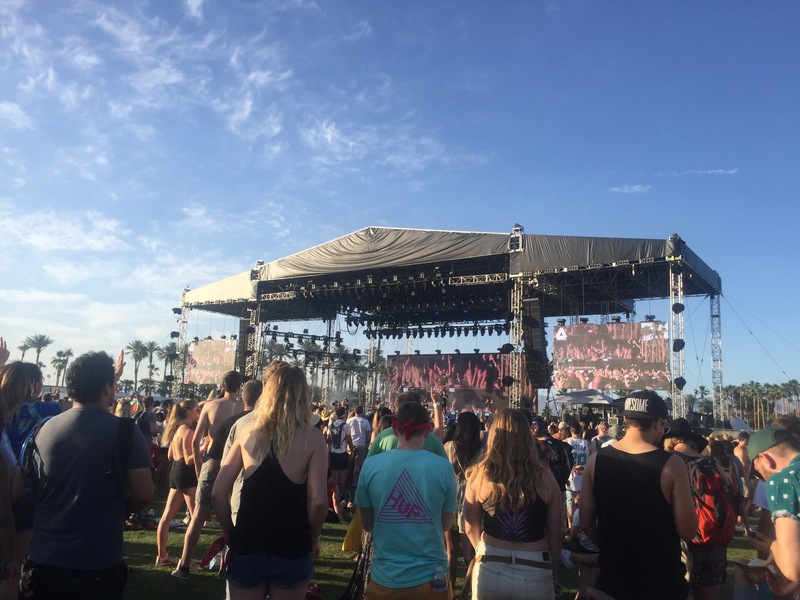 Last weekend we went to Coachella, a music festival in the pretty Coachella Valley in Southern California. 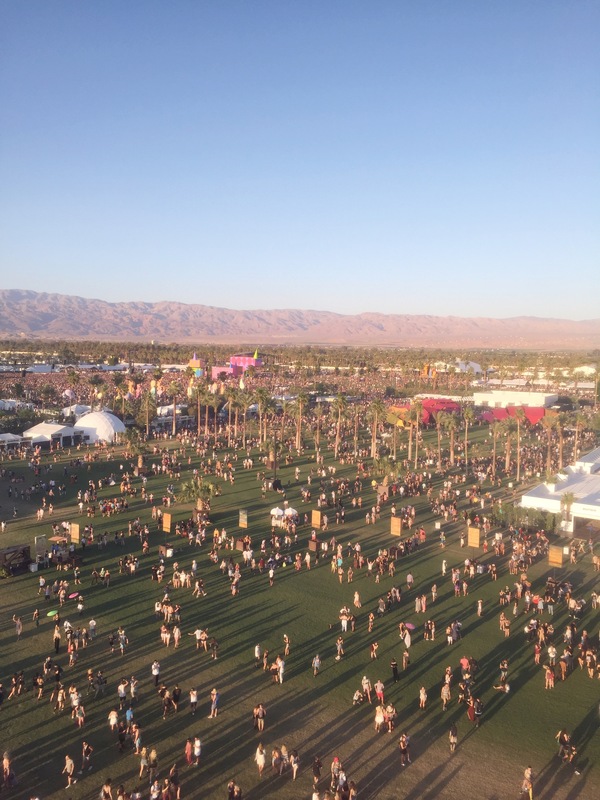 Coachella probably needs no introduction, but a quick recap for the uninitiated – this music and art festival is held for two weekends in April every year, drawing around 100,000 people per weekend and generating around $3.18 million tax revenue for the city of Indio through ticket sales alone (tax numbers from 2016). 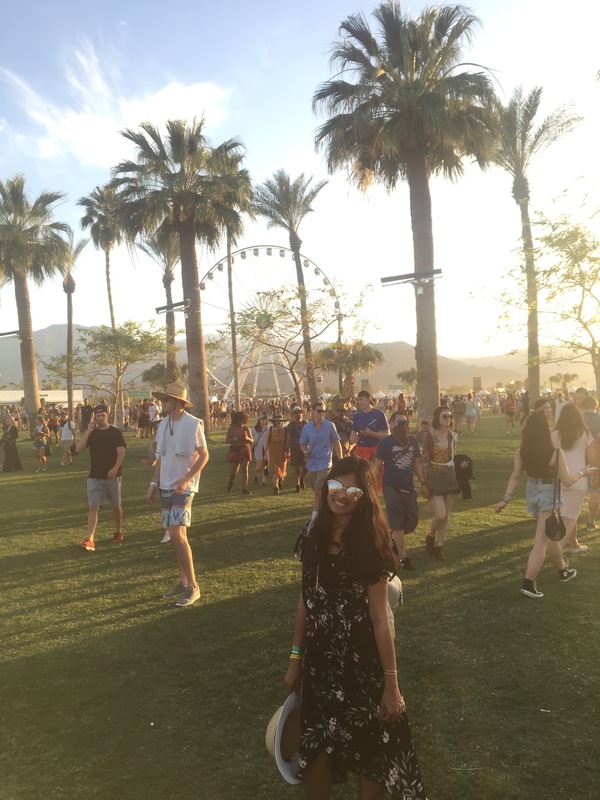 This was my second time at Coachella, but my first time actually camping there! 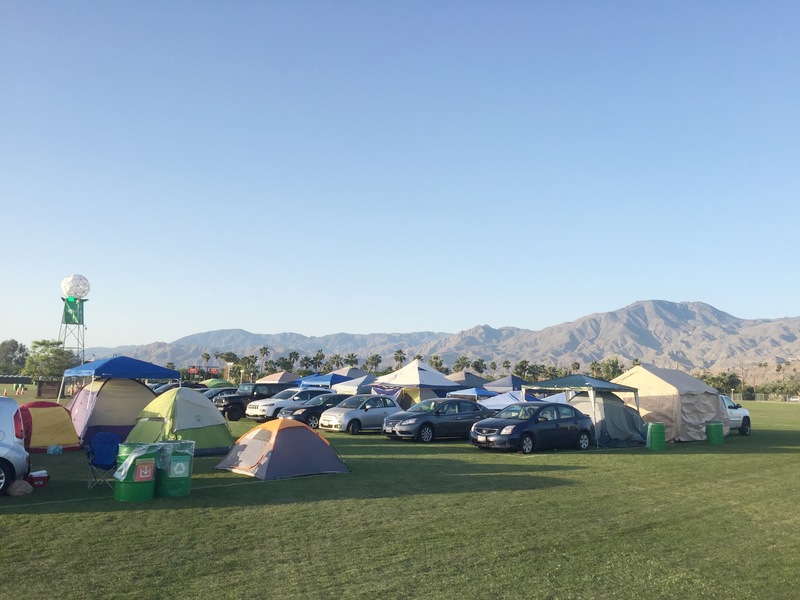 Car camping at Coachella was an experience in itself, and I highly recommend it at least once. After that, you could choose if you would rather camp out right near the venue, or stay in luxury in Palm Springs. 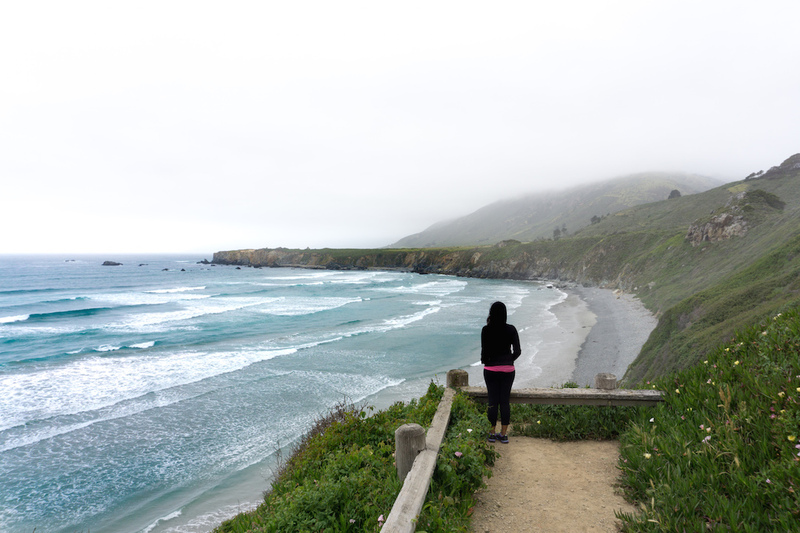 To be honest, I’m not sure which one I would prefer for next time, both experiences are amazing in their own way! 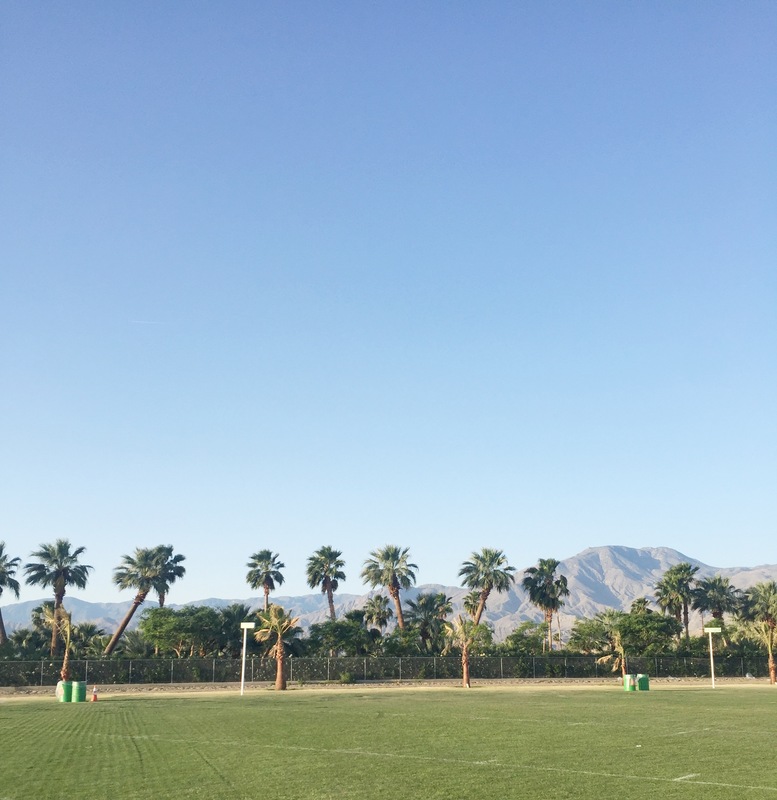 Car camping at Coachella gives you beautiful views of the surrounding mountains past the lovely palm trees. 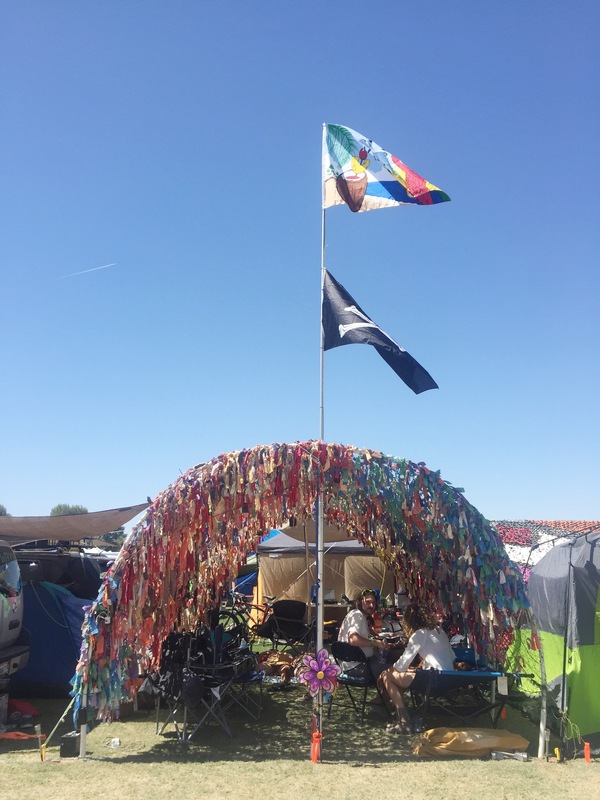 It also offers very easy access to the venue, especially if you get there early enough on the Thursday before the festival to secure a spot in the coveted Camp Ground 8. 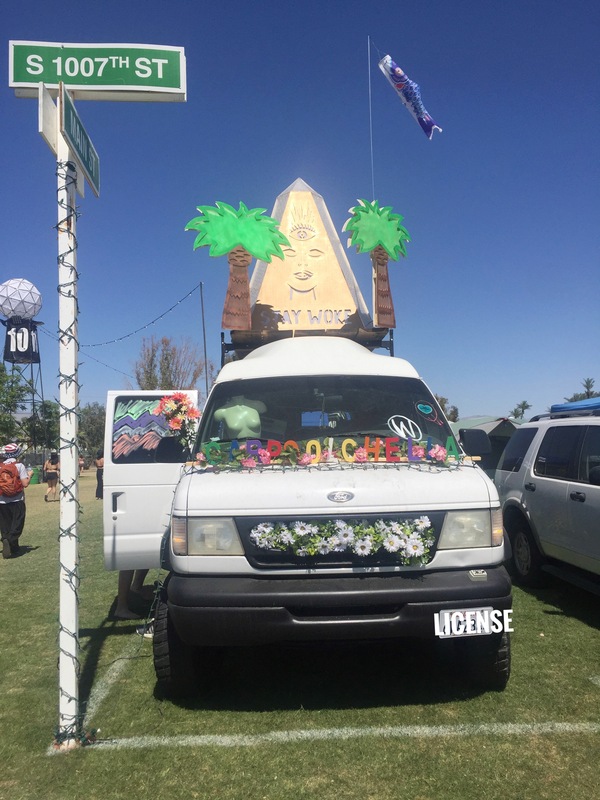 If you car camp and have 4+ people in your car, you could decorate with Carpoolchella to win lifetime VIP passes to Coachella! 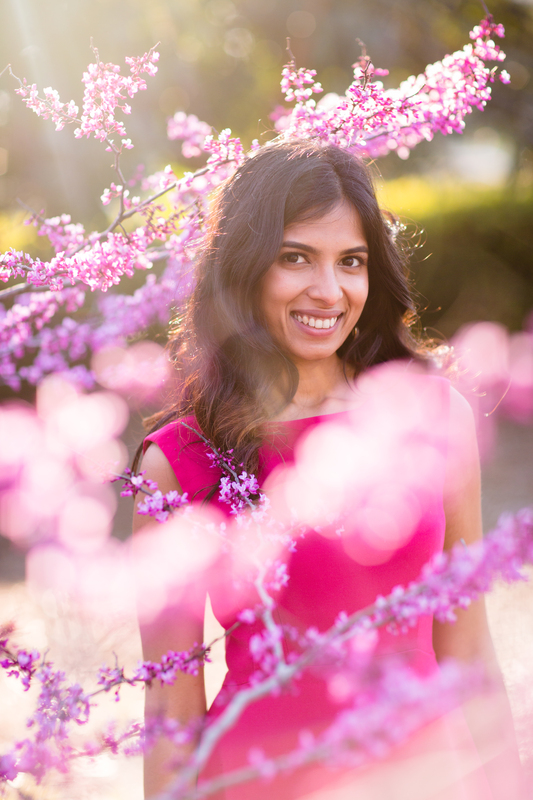 Some people go crazy decorating their 10’x30′ space, and I loved seeing all the decor. It’s very important to make sure you bring a canopy or some sort of shade for the day, because this is after all a desert and it gets very, very hot! If you (like me) are not a seasoned camper, don’t stress, the campsite has a farmer’s market, yoga sessions, a giant pool board and connect four game, charging stations, showers (9 am is probably the worst time to shower, try 10:15 am, and don’t pay the $10 extra for super-duper showers, not worth it) and porta-potties (use these at 7:05 am – freshly cleaned and the weather is not yet as hot). 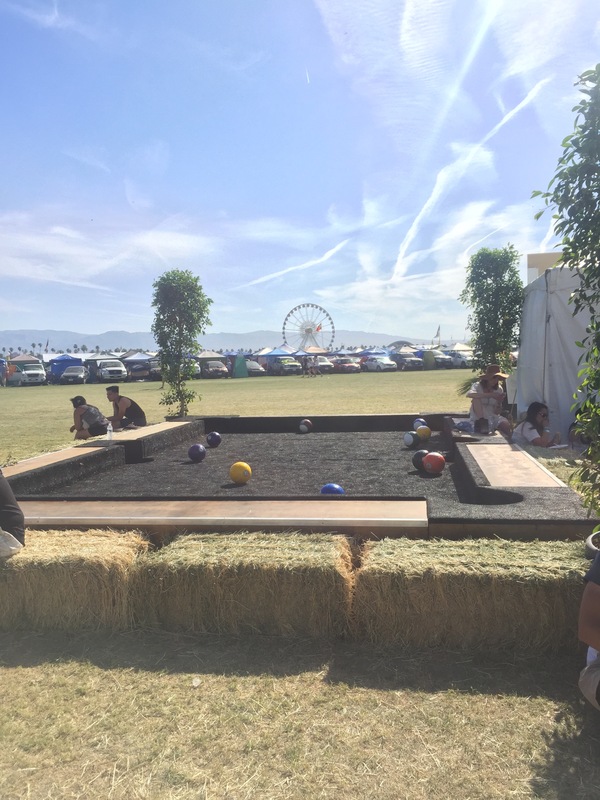 You could play this giant pool game – but I didn’t see any sticks. This structure has super fun, energetic, hip hop music yoga sessions in the morning, and a silent disco at night. Ladies, you can try the Beauty Bar for a free hairstyle (their stylists are really good and the recommended tip is only $5). However, prepare to wait 2 – 5 hours in line unless you go on Sunday at 2 pm, in which case you might only have to wait an hour. 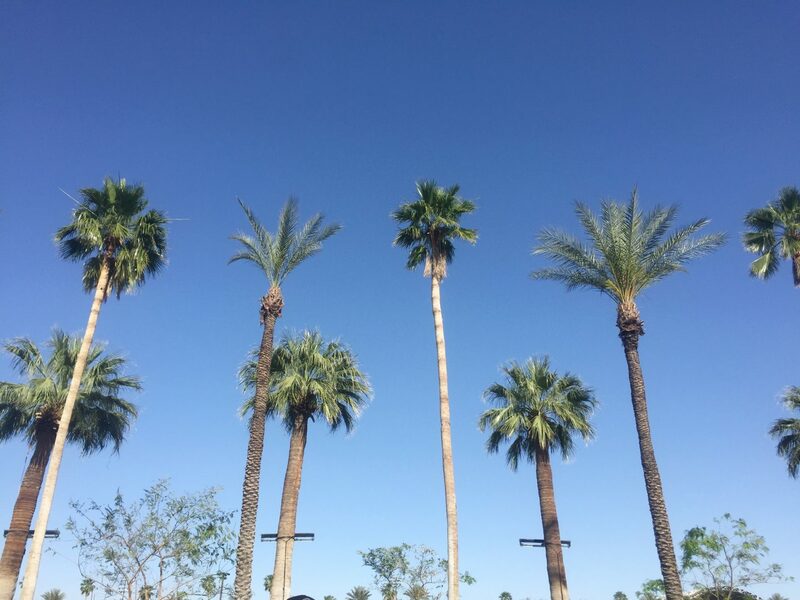 All in all, Campchella is a fun experience, but daytime pool parties in Palm Springs might also be a fun experience, if that is more your speed. My favorite day at the festival this year was Saturday. It was just the perfect day where we found the perfect shade behind the giant “houses” structure for a lovely nap, ate the perfect ice-cream, and saw the perfect Lady Gaga performance where she dropped her new song “The Cure” for the first time (which I am now obsessed with!). 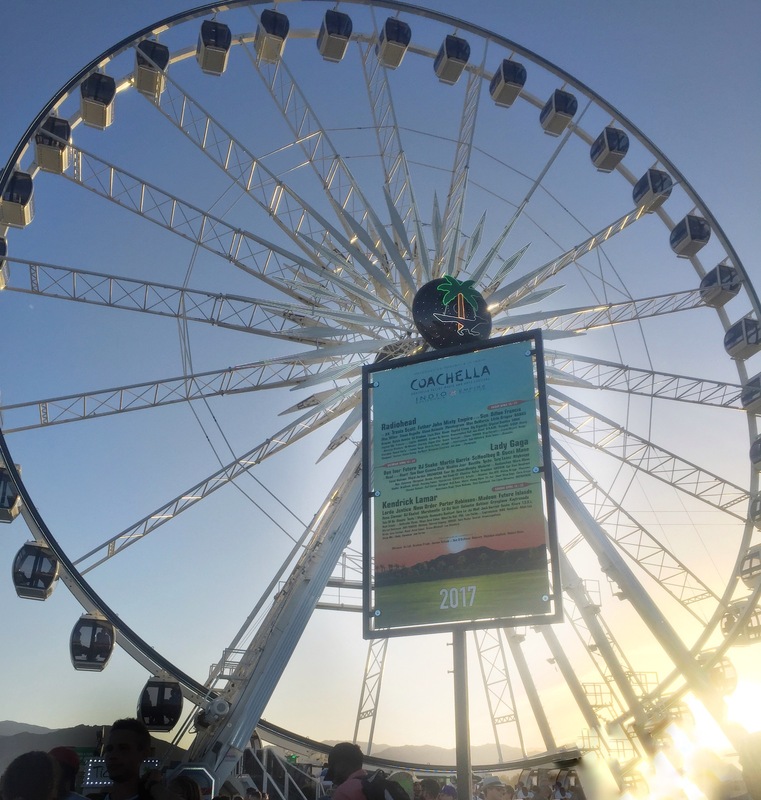 Other awesome moments at the festival were the Ferris Wheel ride we took with our friends – $10 ticket, and the Ferris Wheel has A/C along with amazing views, guys! What a steal! Try going on Friday, the lines don’t seem as long as other days. 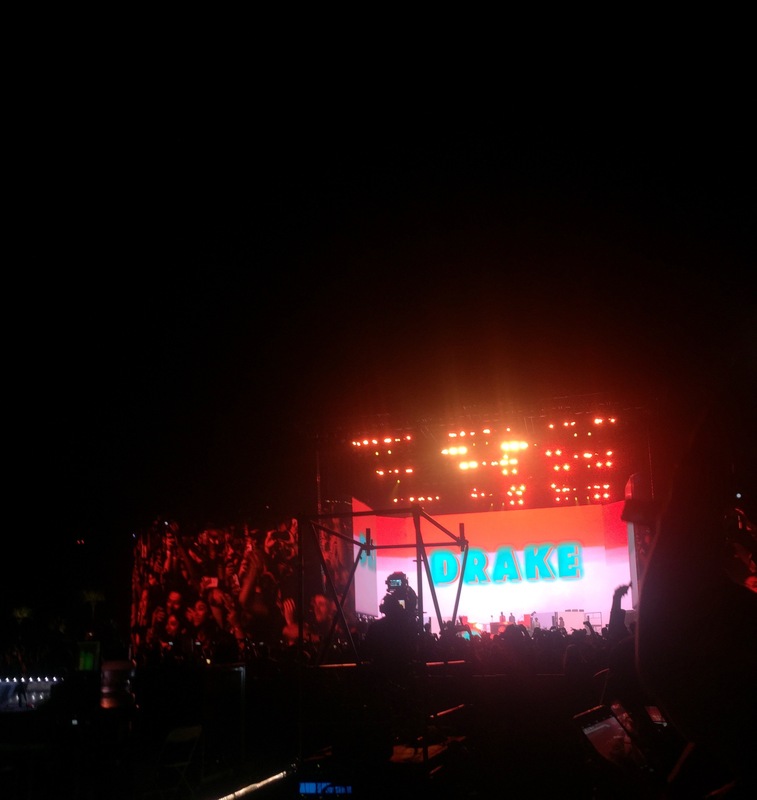 My other favorite performances were Future (who brought out Drake as a surprise guest!! ), Hans Zimmer, who arrived with a full orchestra and Pharrell Williams as a special guest, and played the most amazing movie sound tracks, Bastille and Lorde (unfortunately I missed most of her performance due to Hans Zimmer, but he was worth it). Travis Scott‘s show was awful (although, he might be dating Kylie Jenner after Coachella, so he impressed one person at least), but he was better when he performed as Kendrick Lamar‘s guest. I heard that Martin Garrix and DJ Khaled were really good too, but unfortunately didn’t make it to their shows. Migos showed up at different stages and performed ‘Bad and Boujee‘ at least four times, which is why it is now unfortunately stuck in my head. Overall, it was a solid lineup, but Lady Gaga definitely stole the weekend. She was so different from the last time I saw her live as Mother Monster. I might actually like this version of Gaga even better! Till the very last-minute, everyone was hoping that Beyonce would come out as a special guest, but the twins are probably first priority for her now (as they should be, I guess). 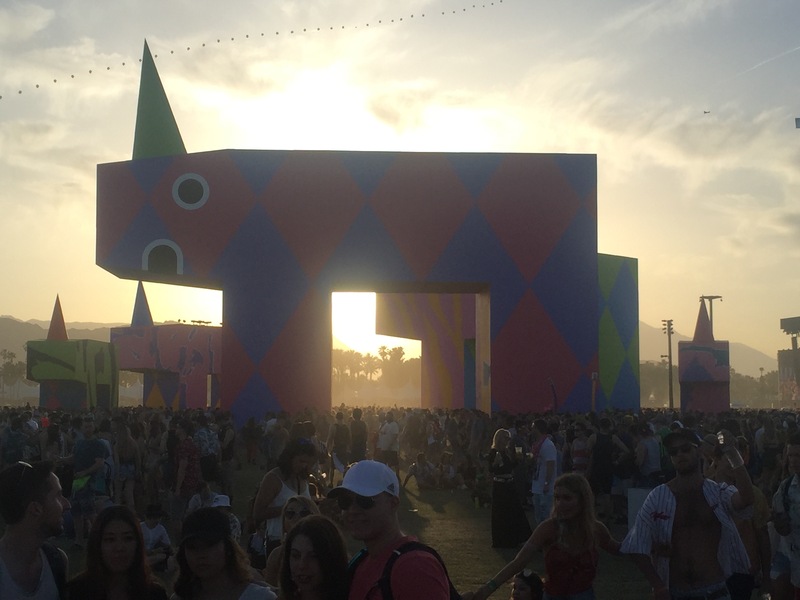 Coachella is not just about music. 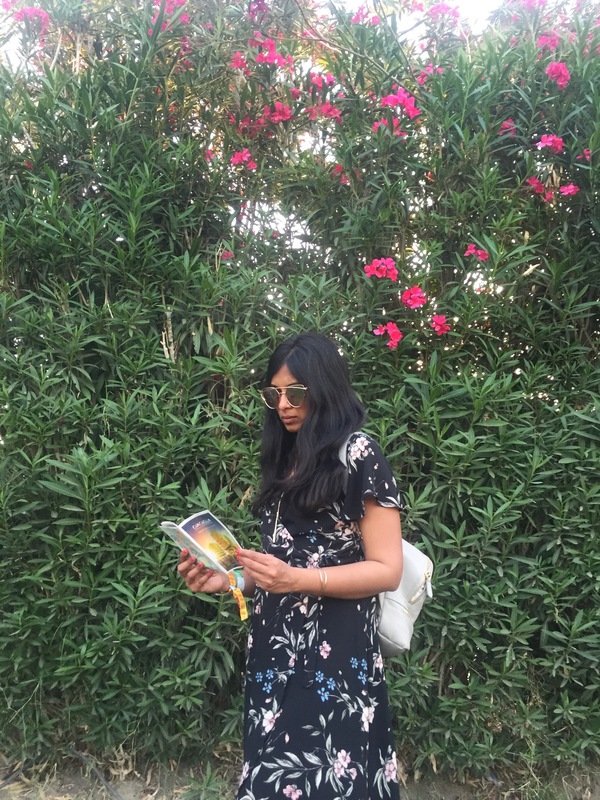 It’s also about friends, and art, and fashion and general entertainment. 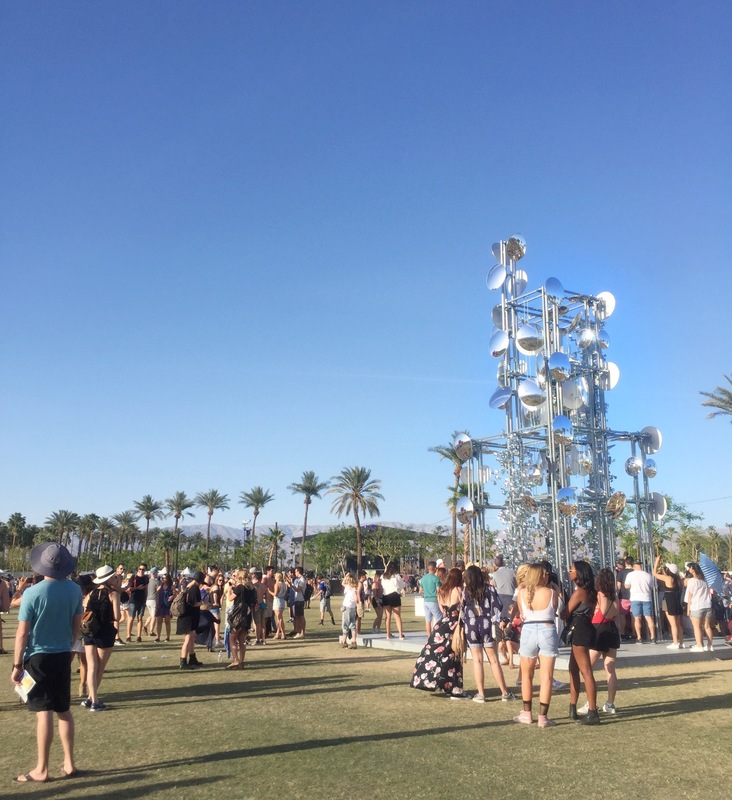 I find Coachella way more fun in big groups, but be careful when you get separated from your friends because it is almost impossible to find someone else again. Make sure to carry a portable phone charger, and use their map instead of their app. These installations, “The Chiaozza Garden” represent the Desert Superbloom, it’s fleeting and ever-changing, so enjoy it while it lasts. 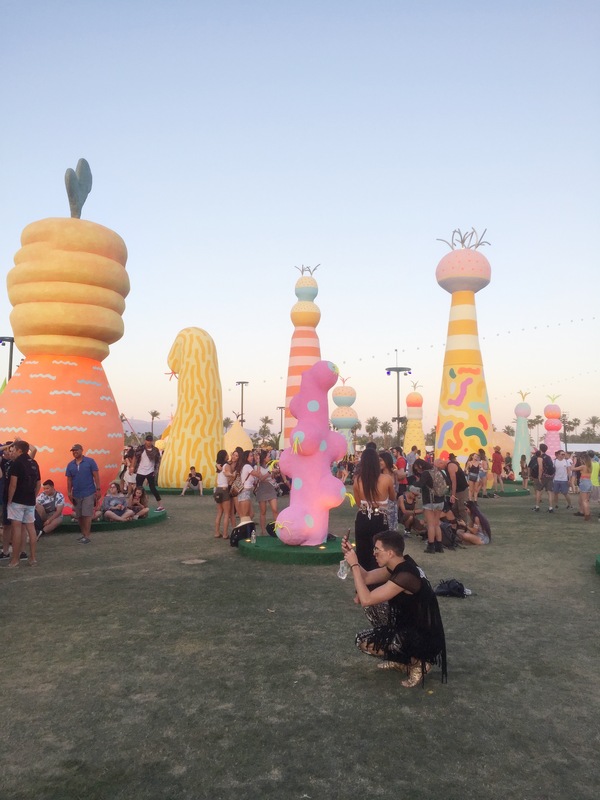 The Coachella Guide calls it a “buoyant mirage of substantial objects that only exists for two weekends”. This garden was hand-built by the artists Terri Chiao ad Adam Frezza, and their artist friends. This tower of mirrors was created by the Brazilian artist Gustavo Prado to show how the isolation of a selfie could be broadened to inclusion by the polished finish which reflects the other thousands of festival goers. “The Crown Ether” by architect Olalekan Jeyifous is supposed to be a visual pun on a tree-house that throws some much-needed shade for festival goers. Behind this is where we enjoyed our Saturday nap! This elephant like structure is actually an “anti-monument” created by Joanne Tatham and Tom O’ Sullivan. What is an anti-monument you ask? 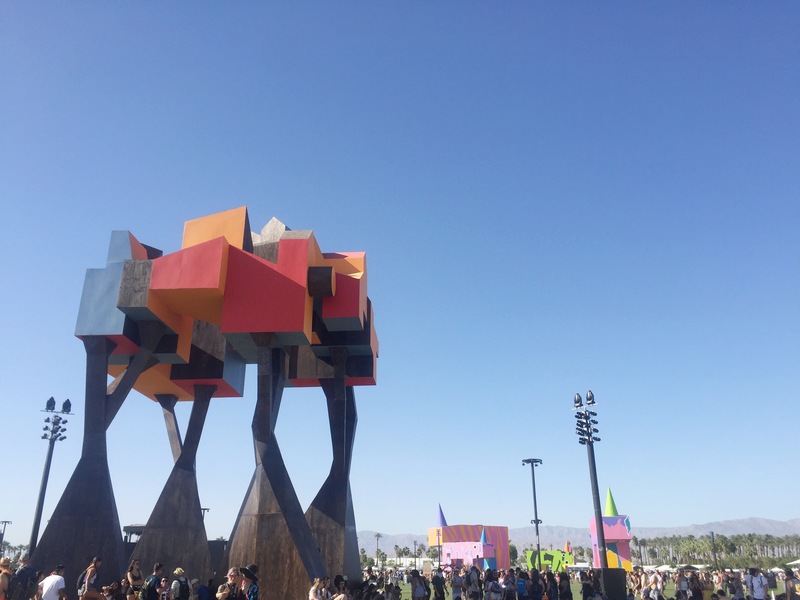 From the Coachella Guide, “To make something with oversized visual impact that might unintentionally reveal the situation into which it blunders”. In other words, this anti-monument is a deliberate photo bomb. 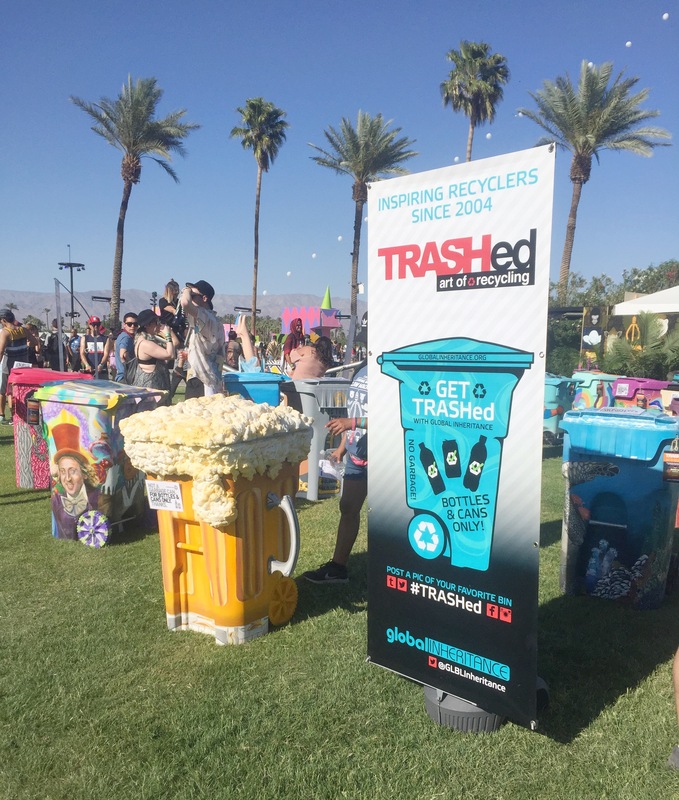 Even the trash is artsy and has its own hashtag #TRASHed. 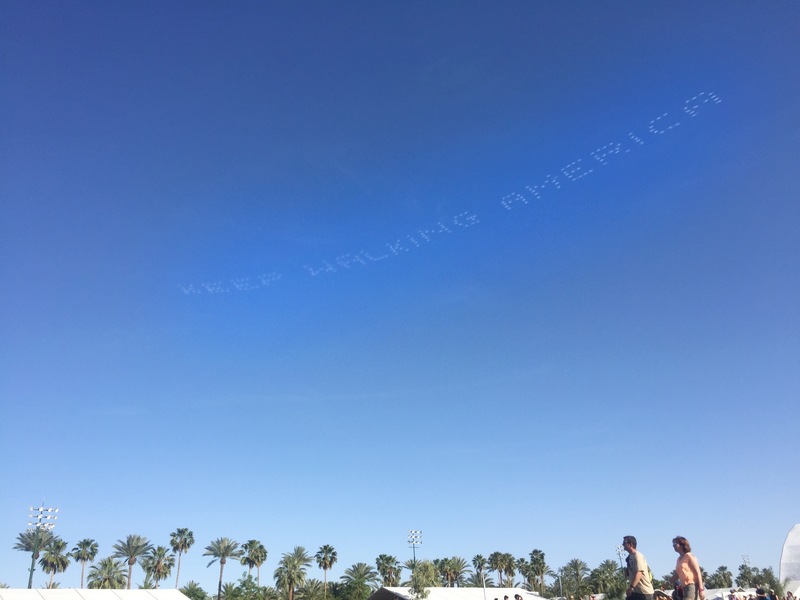 This ad was so hilariously apt because you have to walk A LOT at Coachella. And standing all the time, it gets exhausting. That’s why some of my favorite performances are the less crowded ones, where you can sit or lie down and enjoy the amazing music. 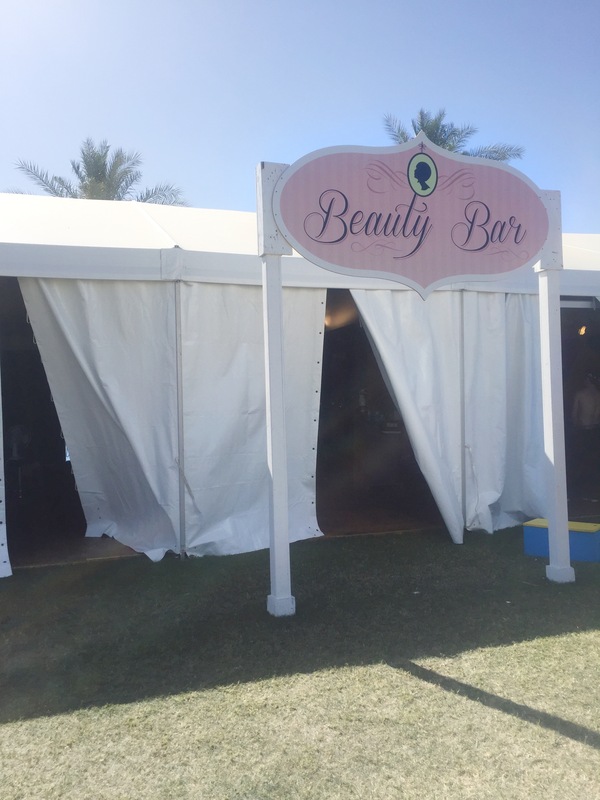 I loved the beer garden near the Coachella Stage because it is less crowded during shows, and you can lie down and listen to the music (or sit up and watch as well) at the Coachella stage. The Greek food there was awesome, and the meal we had at the picnic tables under twinkly lights listening to Porter Robinson and Madeon was quite romantic. 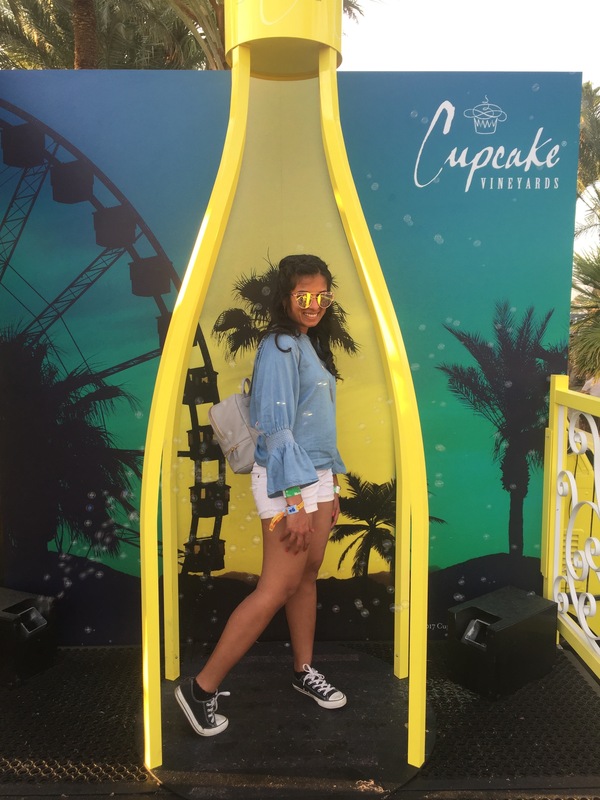 I also loved this Wine Bottle installation by Cupcake Vineyards in the beer garden – after all, what’s not to love about a bubbly bottle? This year, you could also check out The Antarctic Experience Exhibit at Coachella installed by Obscura Digital and brought to you by HP, but frankly, we thought it was weird. Why should you still check it out though? There are comfortable seats and A/C, and hey, you might actually like it. 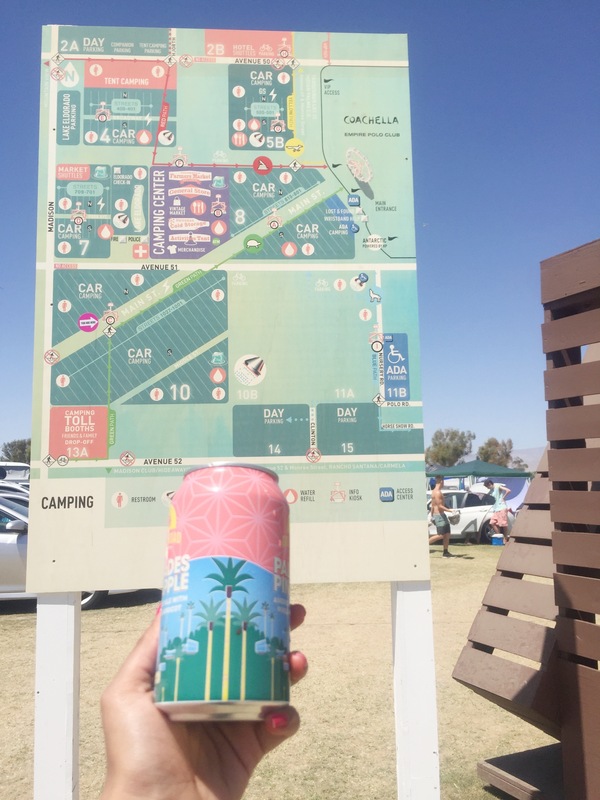 Important Prochella Tip : There are actual bathrooms at Coachella close to the Sahara Tent, so steer clear of the Porta Potties. If you are going to Weekend 2 this year, I hope you have an amazing time!! 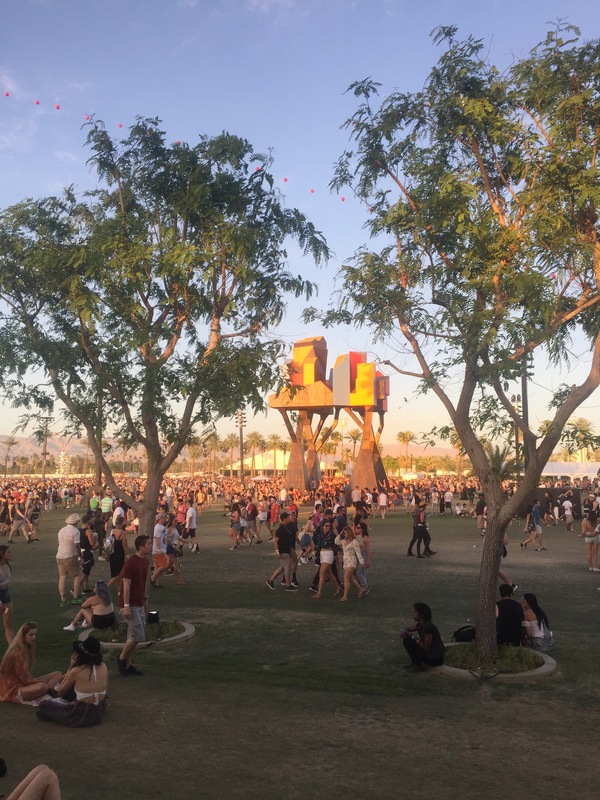 If you did not get to Coachella this year, and are excited to go next year, tickets usually go on sale early January after the lineup is announced. Be sure to track their website, and log on as soon as tickets go on sale (keep the browser, or multiple browsers open before). Tickets will sell out within minutes, so it’s important to enter the waiting area ASAP. 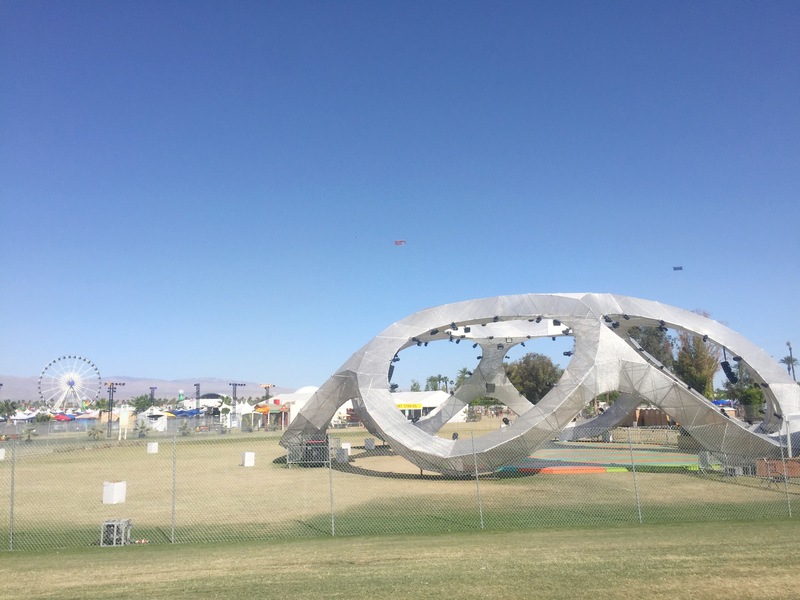 Did you know that Coachella also has a livestream?! 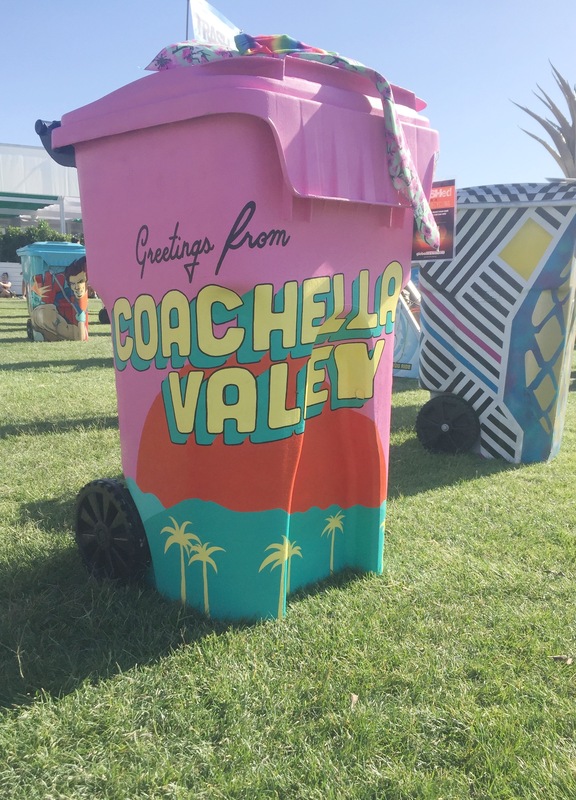 It’s for all those enthusiasts who prefer Couchella to Coachella. (Sadly, I did not come up with the term Couchella, but you can bet I loved it instantly!). Good Luck and Happy Coachella! Thank you!! 🙂 Yes hope you can go to Coachella sometime!